Nietzsche praised Kant for having “annihilated Socratism,” for exhibiting all ideals as essentially unattainable, and for having exposed himself to the despair of truth—all essential traits Nietzsche claimed for his own thinking. At the same time, the existentialist philosopher remained highly critical of Kant. 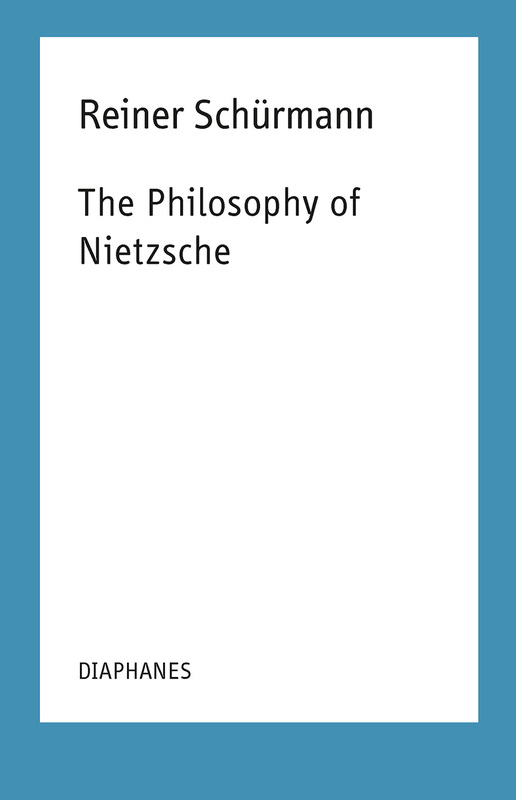 This volume of Reiner Schürmann’s lectures unpacks Nietzsche’s ambivalence towards Kant, in particular positioning Nietzsche’s claim to have brought an end to German idealism against the backdrop of the Kantian transcendental-critical tradition. Rather than simply compare the two philosophers, Schürmann’s lectures help us to understand the consequences Nietzsche derived from Kantian concepts, as well as the wider horizon within which Nietzsche’s ideas arose and can best be shown to apply. According to Schürmann’s trenchant reading: if Nietzsche was indeed “fatal” to Western philosophy, as he claimed, he was so in large part because of the Kantian transcendental thinking from which he inherited the very elements and tools of his criticism.